This next minutes Wave Prediction Software using standard onboard navigation radars is being developed in cooperation with MIT Ocean Research that is the only institution that has developed algorithms able to obtain next minutes wave patterns, based on the physical behavior of waves. Normand Ocean has both a module handling system MHS from MacGregor for lifting through moonpool and a 150T subsea crane. Ocean wave dynamics is the main challenge for all ocean operations. Any information of useful accuracy about instantaneous wave heights and periods is not available today. The key focus is to predict large incoming waves for the next minutes, to be able to decide whether to start a critical lifting operation before or wait for after a big wave. 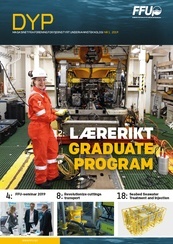 Typically, in the winter time the operability of subsea operations is only about 30%, according to subsea operators. Typically, increasing the limitation on maximum wave heights by just 0.5m can reduce waiting time from one week to one day. Using real-time predictions of next minutes waves and vessel motions, will make it possible to operate in higher sea states than using existing conservative operations criteria, based on weather forecasts. To develop an industrial solution, this Kongsberg Seatex ECOSTEPS project, funded by the MAROFF program from the Norwegian Research Council, has been started up. Uni Research Polytec, together with Meteorological Institute MET, MIT Ocean Research and Kongsberg Maritime radar specialists, are developing the new RIMARC wave pattern recovery software. 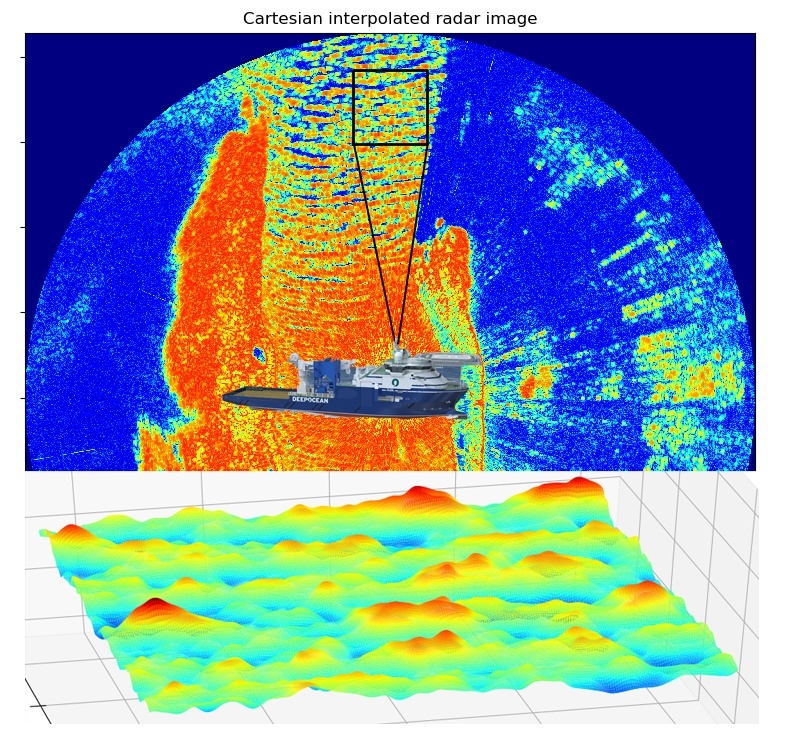 Kongsberg is already collecting radar data from a Norwegian coastal ferry. The already promising wave pattern predictions are checked against the new MET advanced wave buoys outside Ålesund. Wave propagation model tests have been carried out at SINTEF Ocean to check the accuracy of a linear wave prediction method and to evaluate the most important non-linear wave effects to be included for the onboard next minutes wave prediction software. 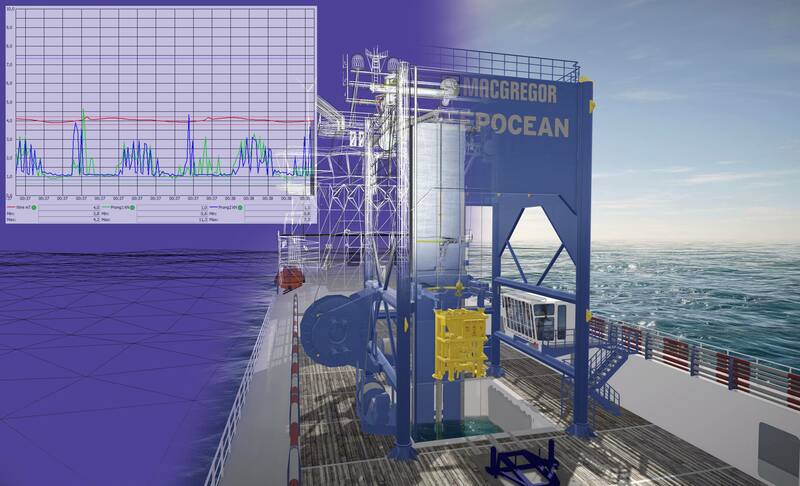 SINTEF Ocean is developing a method to calculate real-time vessel motions. Kongsberg VMM-200 (Vessel Motion Monitor) measures and analyzes vessel motions from MRU sensors on the vessel. 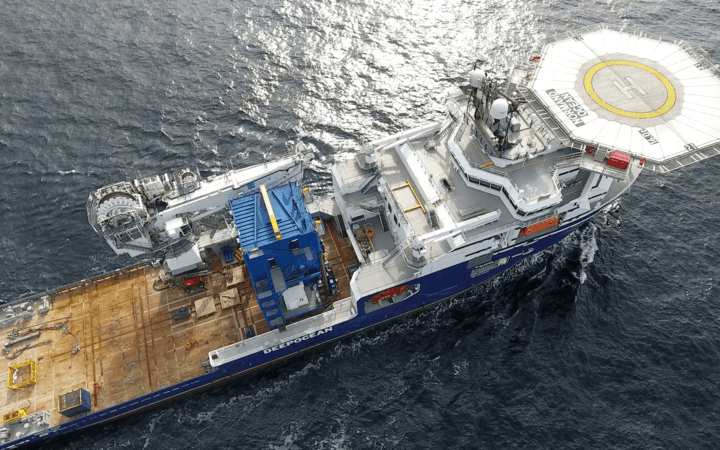 The SolstadFarstad IMR subsea construction vessel Normand Ocean, contracted to Statoil and operated by DeepOcean, has been selected. The accuracy of the next minutes wave prediction will also be checked against data from the Miros Wave Finder in the bow of the vessel. Typically a radar measurement of waves 2km away will reach the vessel in about 5 minutes. Kongsberg Seatex has set up all systems and software in their laboratory in Trondheim to be tested remotely before onboard full-scale testing. during lifting of modules in air and to avoid snap load during immersion through splash zone. The onboard C-HOW simulator of the MHS lifting system will use real-time wave and vessel motions as input. developed for onboard real-time calculations of slamming forces during immersion of objects in wave drop zone to avoid snap loads. Predicted wave pattern in drop zone will be further developed by MIT’s WAMIT software for including the influence of the vessel motions on the waves around the vessel. Vessel heading optimization will be based on reduction of minimum vessel motions and dynamic forces during immersion of object through the splash zone. In the future RIMARC wave recovery data from offshore vessels in the North Sea is to be coupled together in a system with AIS marine traffic vessel position data to be used for online wave forecast.